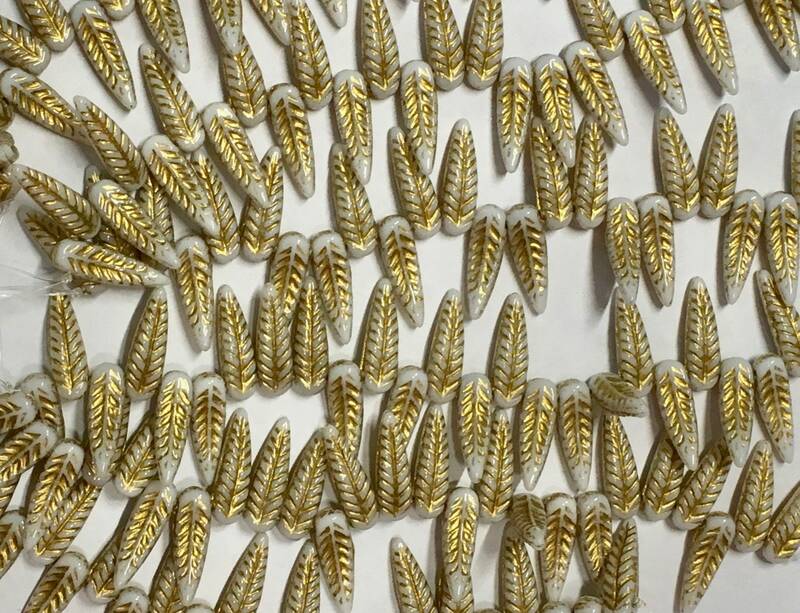 White Czech pressed glass bird feather beads with gold detail! Beads are 5x17mm with a top drilled hole (just a little bit longer than a large dagger bead). You'll get 25 beads in a strand. Very cool beads, it was hard to choose between the turquoise/green and the white, but I was buying so many turquoise beads, I went with the white for contrast. Great selection, prices and fast shipping!